Connie Ann Kirk's 2004, Sylvia Plath: A Biography, was recently reissued by Prometheus Books. Unlike it's first appearance, this title is available at bookstores, making it one of the few introductory biographies available to a more commercial market (the 2004 Greenwood biography series edition being primarily a 'library' book). On the back of the book, in big letters is "The blood jet is poetry and there is no stopping it." Those who know "Kindness" quite well will notice the addition of "and", which is not in the poem. This is sloppy. The blurb on the back of the book claims that by the time Plath died, she left behind a "popular novel, The Bell Jar", but we know this wasn't the case. There is an over reliance on other biographies, and throughout the work, Plath and Hughes and the other players are referred to by their first names, as "Sylvia," "Ted," etc. Addressing Plath and the others in the familiar actually made it more difficult to read. The tone throughout was off, and I kept thinking I was reading something by Marcia Brown Stern, Jillian Becker or Elizabeth Sigmund, i.e. people that knew Plath and can get away with addressing the subject as such. There are also contradictions between the chronology in the front of the book and in the text. Etc. etc. While the main facts are there, several errors from the first edition were not corrected in this new edition, frustrating this reviewer. Rather than list everything as I did with the errors contained in Bowman and Hurdle, I'll spare you the bitchy details of what's wrong with this book. When an author such as Kirk, a serial biographer, approaches a life like Sylvia Plath's, it is almost excusable to make mistakes. But, it is also quite inexcusable. The biographer must be painstakingly dedicated to getting the facts of their subject correct. Especially in an introductory work where their words may be responsible for intriguing and education a future fan or scholar. While this isn't the greatest introduction to Plath (and there are betters one's out there; and yes, as you might imagine, naturally my bias leans towards my own little biography of Plath), it is better than some of the fuller length treatments of Plath's life. The book itself is a handsome production. Sylvia Plath began working for Mademoiselle prior to the June 1, 1953 start of her guest editorship. On May 26, Plath went to the Cambridge, Massachusetts home of the writer May Sarton. It was there, at 14 Wright Street (pictured), that she interviewed Elizabeth Bowen for a profile in the August issue. For the profile, Plath was photographed with Bowen. The article ran on page 282. The Sylvia Plath Collection at the Mortimer Rare Book Room holds a contact sheet with 11 images of the Plath/Bowen interview (SP-11), as well as one larger print of the image published in Mademoiselle (SP-12). 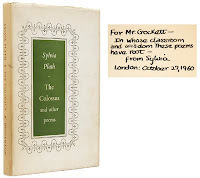 Additionally, the Sylvia Plath Materials at Indiana University contain many of Plath's letters and instructions from Mademoiselle, prior to and during her Guest Editorship. Included with these is a 2 page document of instructions from Jane Mayberry for the interview (Box 12, Folder 7). In the summer of 1954, Plath lived just five-minutes (walking casually but with determination, in sensible shoes) from Sarton's house, at 1572 Massachusetts Avenue. For those keeping count, this is the 400th post on this blog. Thank you all for reading, for encouraging, and for Plathing. "One figure who eluded Leonie Cohn in the early 1960s was the American poet and novelist Sylvia Plath, whose lengthy prose piece about her upbringing was being planned as the centrepiece for a radio documentary, to be produced by Leonie Cohn, called Landscape on Childhood. "Leonie Cohn had suggested a title for these reminiscences – Ocean 1212-W – but arrangements for the recording were abruptly terminated when Plath, the estranged wife of the poet Ted Hughes, committed suicide in February 1963. Leonie Cohn's final letter to Plath, dated three days before her death, is possibly the last Plath received." Cohn passed away on 9 August. 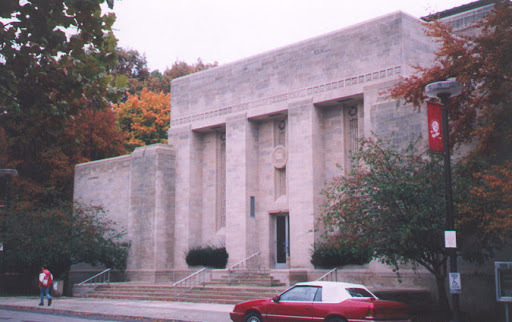 Most of Sylvia Plath's letters are available in archives at Smith College, Indiana University and Emory University. And of course, many were printed in Letters Home. Did you know that in the book Dear Editor: A History of Poetry in Letters: The First Fifty Years, 1912-1962, they reprint a letter from Sylvia Plath to Poetry editor Henry Rago? The letter was sent on 7 May 1957 from Cambridge, England, and in it, Plath thanks Rago for accepting the following poems, "The Snowman on the Moor", "Sow", Ella Mason and Her Eleven Cats", and "On the Difficulty of Conjuring Up a Dryad". These poems, her second batch of acceptances by this magazine, appeared in the July 1957 issue of Poetry (pictured here). The editors of Dear Editor (Joseph Parisi and Stephen Young) also published Between the Lines: A History of Poetry in Letters, Part II: 1962-2002. Plath is referenced many times. In a letter from John Berryman to Henry Rago, dated 22 July 1963, Berryman asks, "Have you seen, can you get rights to Sylvia Plath's final poems (Observer, 17 Febr.) and a biog'l piece on her? They are rare." Poetry did publish "Fever 103°", "Purdah", and "Eavesdropper" in their August 1963 issue. Hayden Carruth, discussing Adrienne Rich in a letter dated 28 January, 1966, says, "I'll tell you one thing [Rich] could do perfectly: that's a retrospective piece on Sylvia Plath. She has studied Plath's poems with care and enthusiasm, and could write well about them, I'm almost certain..."